Students used erasers on pencils to dot paint these colorful corn cobs. 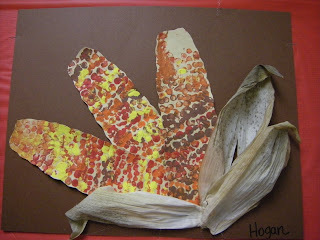 Students learned a little about the different types of corn, and then (thanks to Dad) I added the husks for a nice effect. Great Job! Thanks Sarah Cherovsky for the idea. I love these! 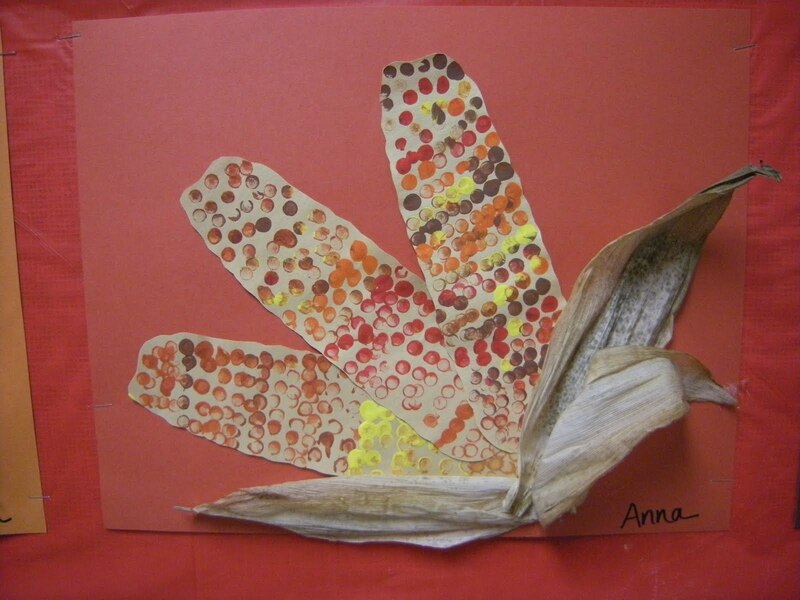 I especially like how you used real corn husk. Adorable and a great Fall lesson.